Intricate hand engraved designs combined with the precision handiwork of horse hair weaving produces one-of-a-kind heirlooms that take your breath away. 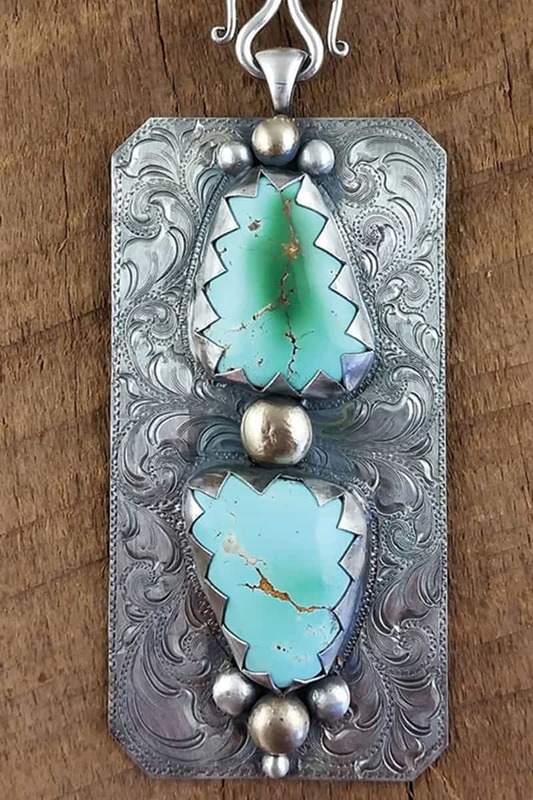 What started as a project to turn the tail hair of a beloved horse into a keepsake has now grown by leaps and bounds into a full-scale jewelry making business that people can’t get enough of. 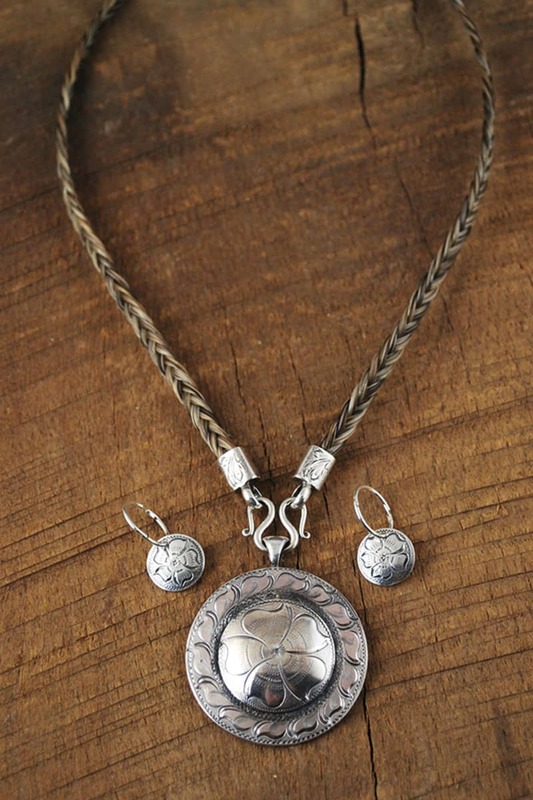 Silversmith Ivy McNulty creates complete sets of exquisite silver jewelry adorned with intricate scroll work and western symbols put together with her masterful treatment of horse hair. 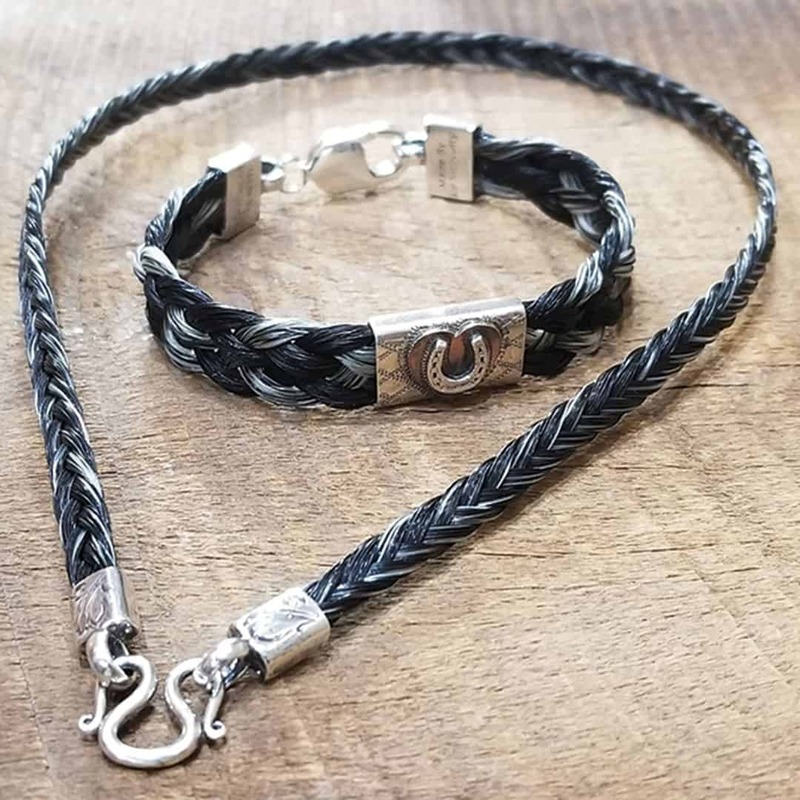 Each piece is unique can be ordered to specific design, including using your own horse’s tail hair. IM Silver creates bracelets, necklaces, earrings, pendants, buckles, and more. Prices vary depending on the scale of each set or individual item. Find your style at IM Silver.